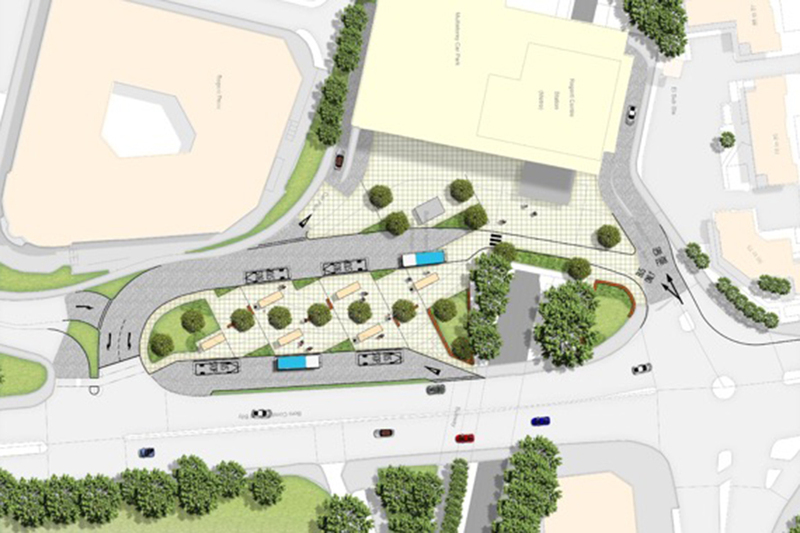 The project involved carrying out a feasibility exercise to consider potential improvements to the existing transport interchange at Regent Centre on the outskirts of Newcastle. In addressing these existing issues Nexus is seeking to ‘future proof’ the interchange and also unlock potential development around the interchange in the longer term. Fairhurst was appointed jointly by Nexus and NCC to undertake a ‘high level’ feasibility study to examine a wide range of potential options from cosmetic improvements to full remodelling of the Regent Centre interchange and car park. The study also included consideration of a range of potential new facilities and development options aimed at unlocking the potential of the site to create a new sustainable transport hub. The study required a co-ordinated approach from Fairhurst’s transportation, highway, structural design, landscape and urban design teams to produce a range of options, including a number of ‘interchangeable’ elements. This flexible approach allowed Nexus to ‘cherry pick’ elements to form cohesive preferred options. The findings were presented in a redevelopment and remodelling study that was based around high quality graphics and included ‘before & after’ visualisations of preferred options.